Establish a routine from an early age. Even from a very early age, it is essential for children to practice good dental hygiene and establish a routine. At The Dental Gallery, we love taking care of young teeth and gums so we recommend all parents and guardians to bring their children to visit our practice regularly – even before their milk teeth arrive. 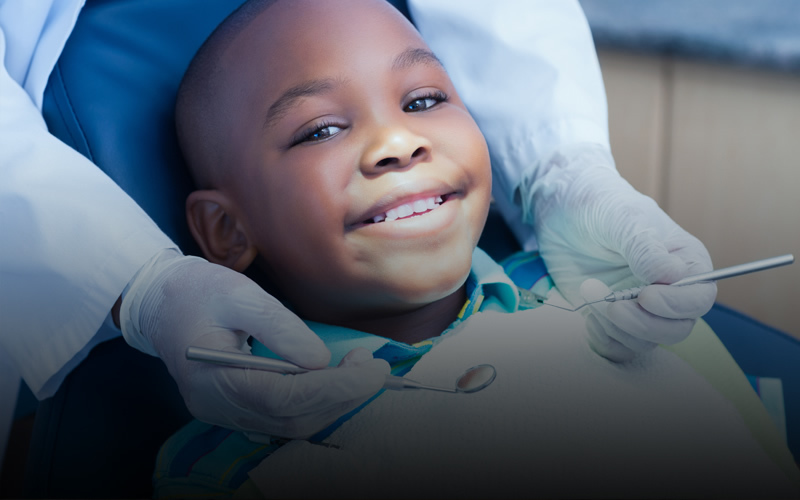 Children can be very nervous when visiting the dentist for check-ups and treatment. By visiting the surgery from a young age, your child will soon get used to seeing our dentist and the clinical surroundings. Our friendly and professional dental team will be able to monitor the progress of your child’s teeth as they grow, making sure everything is looking healthy and in good order. We also teach children how to look after their teeth and gums themselves, encouraging them to brush and clean correctly at home. When children attend dental appointments so early on in their lives we may be able to detect any potential problems before their milk or adult teeth arrive. Any possible problems can be corrected sooner rather than later. At The Dental Gallery, our dentists will recommend the right toothbrushes and toothpastes for your child to use, and provide you with the dietary advice to help your children develop strong healthy teeth and gums as they grow up.